1) Near-neutral, warm, and natural musical sound. Peak and recess-free. 2) Excellent sound in Bluetooth mode, with no glitches or background noise. 3) High quality build and comfort. 4) $150 price for all of the above. My first impressions of the sound of the 1More MK802 headphone (MK802 hereafter) are based on direct comparisons to other headphones, particularly those that resemble its design (full-size portable), but also to a few premium headphones for reference. I’ll describe how I relate to the MK802 (i.e., my personal tastes and how I use the headphone) only after covering all of the objective issues. I’ll get right to the point on sound quality: MK802 is about as neutral as any headphone I’ve used, and it has great detail, and it’s very well built, and it’s Bluetooth or wired, and it retails for around $150 USD. The reason I used all of those extra ands was to emphasize that any one of those factors would merit a $150 price, so do the math: 1More’s MK802 is something special. Neutral in this case is not what you might expect with a lot of flagship headphones, i.e. bright, lean, harsh or strident. Neutral here means smooth, warm, musical, without significant peaks and recesses, but with good detail and accurate tone quality. The MK802 has a three-position bass switch, which I use in the center position, since that gives me the best response. I will include some comments in the music tracks listed below, to point out where the extra-bass setting added some useful weight to a few of those tracks. 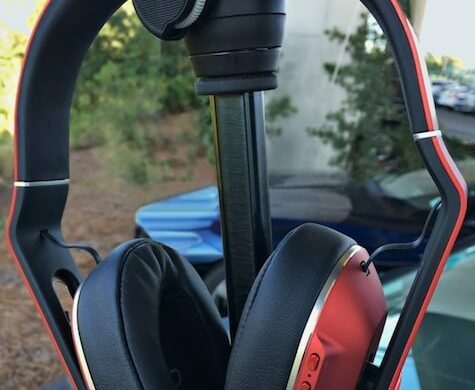 Some users and reviewers report problems with Bluetooth headphones, although those problems are probably going away for good with the current generation of wireless headphones. Specifically: interference, drop-outs, and negative impact on sound quality. I have not had any problems with the MK802, walking around my six-room apartment with the source (iPhone, iPod, and others.) two rooms away from the headphone. Just as important is the actual sound quality through Bluetooth, and the MK802 aces it. I’m doing most of my tests at home at night, where the ambient sound is extremely low, so that any noise or distortion added by the MK802’s electronics should be obvious, where those things would be masked by the background noise level in portable use. Again, the music tracks listed below will have comments that describe the actual sound qualities compared to the several other headphones I use, including the Grado PS1000e and Beyer DT1770. In spite of my impression of the MK802’s near-ideal sound quality, I need to describe its flavor as I perceive it, compared to classic neutral headphones like the Sennheiser HD800, HD600, HD650, and similar ones. This should not be taken as an absolute, since there are many factors involved, including what you’re already used to. There is a slight rolloff in the deep bass below 45 Hz, which can be compensated a couple of different ways, depending on certain factors. (See italics below.) There’s also a slight midrange emphasis between 500-1000 Hz, which can make the sound seem more spacious, or on some tracks, a bit more forward. These are very picky observations just to be ruthlessly honest, and will not likely be go/no-go factors for most users. When setting the MK802’s bass switch to high, there’s a possibility that some users may hear additional bass above ~45 Hz that they won’t want. The various music players also have bass-boost options for users who need more output in the very deep bass, for electronic music, pipe organ pedal notes, and similar situations. 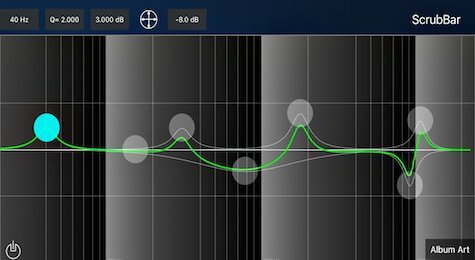 My impression of the MK802’s bass-boost setting is that its curve favors the lower bass more than the upper bass, so there should be little to no negative impact on the lower mids. As noted above, the build quality is excellent: mostly metal, with soft squishy earpads covered in a very durable and comfortable pleather. The headband has a modest padding, and for users who don’t like even moderate headband pressure on top of their heads, I recommend two things: one, pull the earcups down just a bit more than where the headphone is most snug, to carry more of the weight on the earcups; and two, move the headband slightly forward and back on the head for best fit and comfort. The MK802 earpads are a snug fit around my average-size ears, but people with big ears may feel cramped. I don’t have any information on earpad replacement or substitutions at this time. The headband range of adjustment is about 1.15 inches (29 mm) on each side, and given that I fit in the middle of that range, the MK802 will fit a wide range of head sizes. The MK802’s isolation is good, and so many closed-back headphones I’ve used aren’t good enough for where I hang out, within 100 yards of a busy freeway. I find the MK802 isolates well enough to make music enjoyable with reasonable detail against the traffic noise. This is a good place to mention a competitor that sells for nearly twice as much, the Bose QC35. (See italics below.) The QC35 noise cancelation gives better electronic isolation, which makes listening on jets, buses, and trains practical. However, the QC35 Bluetooth mode works only with noise cancelation on, and that introduces some unfortunate background noise. A factor which is rarely reported in reviews is that the QC35 (as well as the QC25) uses an electronic DSP (digital sound processor) to achieve a semblance of audiophile sound quality. The MK802 sounds better, smoother — that’s because it builds the sound quality in with acoustic treatments like most audiophile headphones do, for a more natural sound at an exceptional price. The MK802’s exterior leakage is low, but if played very loudly in a quiet office, someone close by could hear a faint sound. The cable is about five feet long. It is terminated on both ends by Apple-style mini-plugs with the extra connector for the cable controls. It can be used to make a wired connection if Bluetooth is not available or not desired. A wired connection is helpful if the battery charge is depleted and can’t be recharged immediately. The control box on the cable has volume up/down and start/stop/next/previous buttons, and a microphone. The start/stop/next/previous button should work with Android phones, but I don’t know whether the volume buttons will work with non-Apple devices. MK802 is an ideal portable headphone in that it can be pulled off the head when not in use, and worn around the neck with the earcups pulled all the way down. A heavy cloth bag is supplied, but since the MK802 carries so easily around my neck when I’m not listening, I don’t use the carry-bag unless I have to pack it away. Our MyMac Review Rating for 1More’s MK802 Bluetooth Wireless or Wired Stereo Headphone is 10 plus. 10 for perfection, which is rare enough, but plus for all the extra value this headphone represents. And I don’t say that lightly. Sources: iPhone6s+ with Oppo HA-2/AudioQuest DragonFly Black DAC/amps, various computers using the AudioQuest DragonFly v1.2/FiiO E17k/FiiO E07k DAC/amps. In previous reviews I’ve included the following music examples with comments about how the headphones sound with each track. My suggestion is instead of reading each one as an absolute unto itself, you could compare my notes here to those other reviews and see how the MK802 compares with each individual track. All tracks were played for this review in Bluetooth mode, without tone controls or equalization. Animotion; Obsession (1980’s New Wave/Techno): The upper bass synth has excellent detail and tone, and both male and female vocals sound natural without favoring either. The MK802 plays this extremely well. Bauhaus; Bela Lugosi’s Dead (~1980): Strong midrange sound effects. This is a good worst-case test for resonant-type sounds in the most sensitive midrange area. Handled perfectly by the MK802. Beethoven Symphony 9, Solti/CSO (1972): Excellent overall sound. Of special note here are the bass impacts beginning around 10:30 of the fourth movement. Those impacts are soft and well in the background, but you can feel the weight they carry with the MK802. Here is a case where the extra-bass switch increases the impact without muddying the sound. Highly recommended. Black Sabbath; Iron Man (Classic Rock): Very good instrumental detail and the vocal sounds very natural. As with most classic rock tracks, there is very little or no deep bass. The MK802 plays this music very smoothly, and the lack of deep bass doesn’t unbalance the treble, although the extra-bass switch definitely adds to the enjoyment. Boz Scaggs; Lowdown (1976): Great sound quality. This is a good test for any nasality in the midrange. Handled very well by the MK802. Cantus; Danny Boy (Traditional/Male Choral/Acapella): The MK802 plays the voices with enough low end warmth and weight to sound very natural, yet there is no added emphasis of the lower register of the male voices on this track. Cath Carroll; Moves Like You (1980’s New Wave/Techno): This track’s percussion and voice are crisp and well-balanced, and there’s a good sense of space or soundstage around the voices and instruments. The MK802 reproduces the space and detail very well. Catherine Wheel; Black Metallic (~1991): Goth with industrial overtones. I like this since it’s a great music composition and the sound effects are smoothly integrated into the mix. This may sound distorted or mushy with some headphones, but the MK802 renders the deliberate instrumental distortions clearly. Chris Isaak; Wicked Game (Pop/Rock): The MK802 plays this high treble energy recording very smoothly. The voice and instruments are detailed but not edgy — very musical in fact. Chromatics; I’m On Fire (Synth-Pop, female lead): This track has a good amount of space around the voice and instruments, making for a very pleasant stereo image. The voice is excellent, and the tambourine sound is clearly identifiable. David Hazeltine; Fur Elise (Jazz): A very high-quality recording from HDTracks. The MK802 reproduces the instruments smoothly with a spacious ambiance. The wire-brush-on-cymbal harmonics are very extended and detailed. Grieg (Beecham-Royal Philharmonic); Peer Gynt-Solveig’s Lullaby (Classical): This very old (late 1950’s) stereo recording must have been made on the most expensive gear in the world, since the overall sound quality and especially Ilse Hollweg’s amazing voice are as close to “being there” as I’ve heard with some of the better classical recordings made since the year 2000. The MK802 plays this music perfectly. Hans Zimmer; Dark Knight-Aggressive Expansion (Soundtrack): The percussion in this track hits really hard, and the bass tones beginning around 0:45 have the ultra-deep “shuddery” kind of sound that indicates a solid deep-bass response. The MK802 plays this music extremely well, but the extra-bass switch gives the low end a better impact. Heaven 17; Let Me Go (1980’s New Wave/Techno): The bass instrument (guitar?) has excellent detail, and the voices and ambiance have a “you are there” quality that’s uncommon in early 1980’s pop music. The MK802 plays this track perfectly. Hugo Audiophile; 15-16 (Electronic): I’m not sure what the 15-16 stands for; perhaps track numbers from a CD album. The deep-bass tones that start around 33-34 seconds into the track reproduce very well with the MK802. This is a great recording for evaluating whether a headphone’s bass will be sufficient for most environments, since for many headphones that have a weaker bass, the deep bass gets absorbed and mostly lost when the environment contains a lot of low-frequency energy. Jimmy Smith; Basin Street Blues (early 60’s): This track has several loud crescendos of brass and other instruments that don’t sound clean and musical with some headphones. The MK802 provides excellent reproduction. Listen particularly to the second crescendo at 15 seconds in for best-case detail. I’d like to emphasize that these crescendos are probably the worst-case test I have for instrument separation and detail, and the MK802 does those very well. 16 Hz tones are not generally audible as tones go, but are easily “heard” as weight, impact, or rumble, depending on the source. How exactly we can “hear” the 16-cycle beats without hearing the 16 Hz fundamental tone I don’t know, but the MK802 reproduction is convincing. Mantovani; Sunrise, Sunset (Easy Listening, ca. 1972): A master musician and conductor (see italics below) who specialized in light classics and orchestral pop music, Mantovani’s accomplishments were overshadowed by music critics who couldn’t tolerate the notion of “light classics” or “semi-classical” music, even when those recordings were no threat to the classical music genres. In any case the later Mantovani recordings from the mid-1960’s through mid-1970’s had the advantage of being mixed for much better hi-fi systems than those which the music critics possessed at the start of the Long Playing (LP) record cycle. Here in 2016, at least some of those digital remasters have improved the sound further, although it’s not always the case. This track as played on the MK802 is a perfect example of the sheer musicality lurking in those later recordings, and is highly recommended for soundstage, instrumental tone, and musical balance. Michael Tilson Thomas; Rhapsody In Blue (20th Century Classic): Great sound and soundstage, and terrific piano playing and tone. There are some very deep bass impacts starting around 38 seconds into the 17:24 length track, and the weight of those impacts (with the extra-bass switch ON) is appreciable with the MK802. Pinback; Non Photo Blue (Pop-Rock): Crispy sound with “crunchy guitars and bashing drums,” the MK802 renders this music as perfectly as I’ve heard an energetic pop-rock recording played with any headphone. Porcupine Tree; Trains (Pop-Rock): This track opens with some nicely-detailed string sounds and a forward-sounding male voice with a higher-than-average register. There are a series of “clip-clop” effects starting at 3:19 that should sound like they were made with wooden blocks of some kind. The MK802 reproduces the “clop” portion of that sound perfectly. Richard Strauss (Mester-Pasadena); Also Sprach Zarathustra (opening) (Classical): The granddaddy of bass is in the opening 1:50 of this recording, and I’ve heard it only once on a large and expensive loudspeaker system in Cleveland. For most people, that experience would be indistinguishable from being in a fairly strong earthquake. The MK802 (with the extra-bass switch ON) conveys as much of that experience as I’ve heard with a stereo headphone. The tympani also have good impact here. Scarlatti-Kipnis; Sonata in E Major K381 (Classical, Harpsichord): The harpsichord here is fairly bright and highly detailed, and the MK802 renders the tones and transients perfectly. Tiger Okoshi; Bootsman’s Little House (Jazz): The trumpet here is recorded fairly close up and is somewhat bright with a significant “bite.”. The MK802’s reproduction is near-perfect, and the close-miked piano is also a treat. For comparison, I have several Maynard Ferguson tracks that feature a similarly strong trumpet with lots of brassy bite. Trombone Shorty; Backatown (Jazz-Funk): The deep bass impacts here are strong (see italics below), and work extremely well with the horns and other instruments. The MK802 delivers the impacts with great weight and detail, and the horns have the kind of bite that gives them a wonderfully realistic sound. This is the one track in this music list that I can play satisfactorily with the extra-bass switch on, or off. My conclusion regarding the MK802’s bass switch, when set to the center position, is that it’s satisfactory for all of my music, despite any comments above. For portable use, the bass switch should be set to the plus (extra) position for nearly all users, but the center position will be best for most users who listen in quiet places, to music that does not prioritize on very strong deep bass tones.